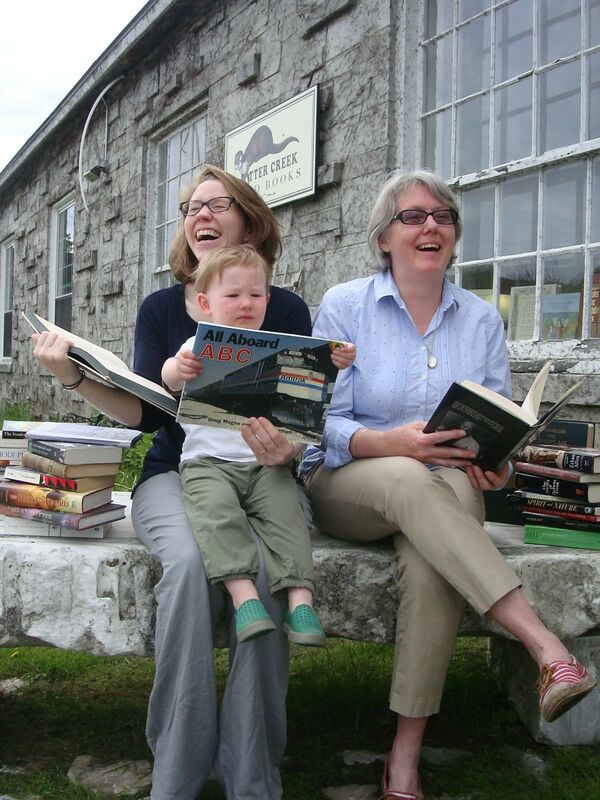 Here’s Hannah, Grey and me with piles of our favorite books. Grey seems very intent. Not us. We know it’s going to be a rollickin’ good sale! Guess what next week is? Give up? It’s SALE WEEK. Monday – Saturday, August 31 through September 5. Yep! All books are…ready for this?…. 50% OFF. You saw that right. 50% off! Following my mentor, Ben, let’s have some fun. Get in here and get all your books for 50% off. That’s one book or boxes of books. All are half off. All you bring up to the counter are discounted. Yes, all. Celebrating OCUB being in the Historic MarbleWorks for four years. I know! Hard to believe but yet it feels like we’ve always been here.